Warning tape – Barrier, without glue, made from secondary raw material, it is a polyethylene LDPE. 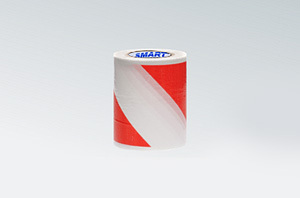 Material colored in white and red diagonal stripes. Tape is used for marking of particularly dangerous or specifies a zone that requires a temporary exemption from the public.